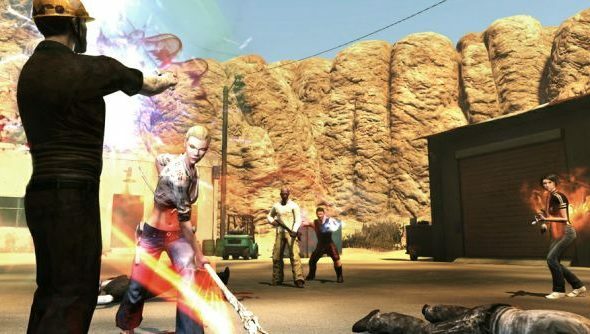 Funcom’s intriguing pop culture MMO The Secret World will launch on July 3, two weeks after its scheduled release date. The game’s early access period will begin on June 29, and two more beta weekends will take place between then and now. The game’s third beta weekend, known as “Hell Raised” will run on the weekend of June 15 to 17. It will allow players to experience playing as the Illuminati, Dragons or Templars, and will include the Savage Coast region. Apparently the gates of hell have opened here. It sounds like Weston super Mare. The final beta weekend, known as “Final Beta Weekend” (to us at least) will take place on June 22 to 24, and will focus on player versus player combat with “massive warzone gameplay”. The early access period will begin on the following weekend, which is June 29 if you’re unaware of how many days there are in a week.